The overnight viral sensation KONY 2012 brought worldwide awareness to the African war criminal Joseph Kony. Beneath this commendable cause, lies however an elaborate agenda that is presented in the video in a very manipulative way. We’ll look at the agenda behind KONY 2012 and how it uses reverse psychology to not only justify a military operation in Africa, but to actually have people demand it. 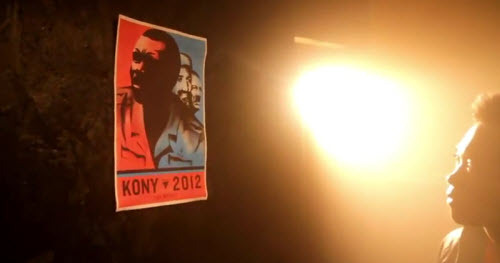 KONY 2012 is a viral sensation that swept the entire world in less than 24 hours. Its main subject is the African rebel leader Joseph Kony, his war crimes and the clearly defined “movement” to stop him. Countless celebrities have endorsed the movement, news sources have reported it and social media is buzzing with it. While the problem of guerrilla warfare and child soldiers has plagued Africa for decades, and several documentaries have already been produced regarding the issue, this particular 29-minute video made managed to obtain mass exposure and support. KONY 2012 is less of a documentary than it is a highly efficient infomercial that is tailor-made for the Facebook generation, using state-of-the-art marketing techniques to make its point. Young people like “underground movements” and want to feel like they are changing the world. KONY 2012 taps into these needs to bring about something that is not “hip” or “underground” at all: A military operation in Uganda. Not only that, it urges the participants of the movement to order stuff, to wear bracelets that are associated with an online profile and to record their actions in social media. This makes KONY 2012 the first artificially created movement that is fully track-able, monitor-able and quantifiable by those who engendered it. In other words, what appears to be a movement “from the people” is actually a new way for the elite to advance its agenda. The video begins with an interesting statement: “The next 27 minutes are an experiment. But in order for it to work, you have to pay attention”. It is an experiment as it tests a new, groundbreaking way to get an agenda accepted by the Facebook generation. In the past, when the government needed to justify the invasion of a country, the President would sit in front of the camera and tell the public why war should be declared in this area of the world. In the case of KONY, the military agenda is disguised as grassroots activism, where the US army entering Uganda would be perceived as a “victory of the people”, effectively reversing the communications model. Towards the end of the video, an image is displayed explaining how decisions (and messages) start from the top of the pyramid (the elite) and are communicated to the masses through mass media and such. Due to the advent of social media, the above diagram has become a lot less effective to get a message across to the young generation. It is not CNN reports and the President addressing the nation anymore, it is about “liking” Facebook pages and viral YouTube videos. This is where messages now come across. Always studying, analyzing and exploiting the most effective ways to persuade public opinion, KONY 2012 appears to be an attempt to test out the effectiveness of a “viral” propaganda campaign. By creating this “movement” and making young people actually DEMAND the U.S. government intervene in Africa, the masterminds behind this campaign would manage the impossible: Reversing the propaganda model in order to make it emanate from the people. By doing so, the elite’s agenda is not only accepted by the masses, it is perceived as a victory by them. “We are living in a new world” indeed. 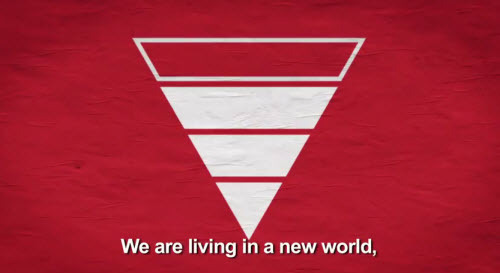 The KONY 2012 logo aptly represents how a viral video and social media can reverse the propaganda model. Don’t be fooled however. 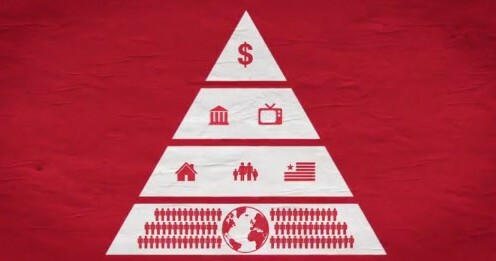 Power is still not in the hands of the base of the pyramid … far from it. It is all about appearances. 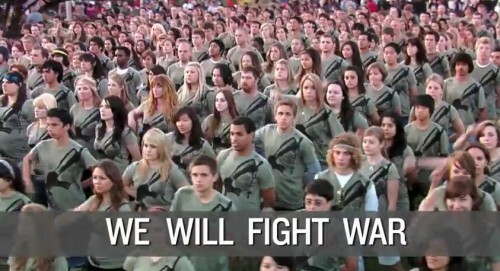 When the war on Iraq was declared, a great portion of young Americans opposed the war. 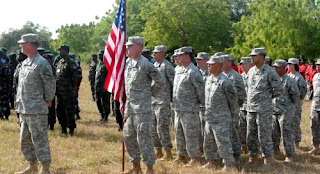 How is it they are now begging the government to send troops to Africa? A simple video, specifically conceived for the Facebook generation did the trick. As it is the case in most campaigns to justify a war, the first goal was to identify a bad guy. 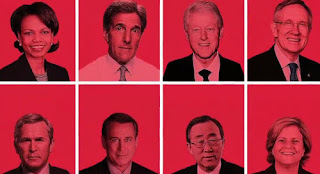 By associating Kony with Bin Laden and Hitler in this poster, KONY 2012 is promoting war. I have absolutely no intention of defending Joseph Kony or to say “he’s not that bad”. He, along with many other guerrilla factions across Africa, has committed despicable atrocities. However, the problem of child soldiers has existed for decades and there are literally hundreds of Joseph Konys across the African continent. In some cases, some of the armies are actually funded by Western countries. If we would truly go to the root of the issue, we’d discover that Africa has been plagued with the problem of warring factions and rebel guerrillas ever since Western forces “liberated” their colonies and divided the continent of Africa according to Western interests. Indeed, instead of setting the boundaries of each country according to the geographic location of the ethnic groups and tribes that live there, countries were created according to the economic needs of colonizing forces such as Great Britain, France and others. The net result is: A bunch of artificial countries that each contain several tribes, ethnic groups, languages and religions. When one group takes power, the others are repressed, which leads to violence and rebellion. Add to the mix extreme poverty due to resources being siphoned out of Africa by Western countries and you’ve got a breeding ground for merciless warlords. As long as this problem exists, Joseph Konys will continue to emerge in Africa. But the video mentions none of this. All it says is that arresting Kony would “make the world better”. KONY 2012 is all about identifying a bad guy, “making him famous” and have people demand his death by U.S. forces. Fixing the true cause of problems in the third world has never been on the Agenda. But picking out a “bad guy” to justify military action has always been part of it. If in the case of Saddam Hussein, “facts” (that ultimately proved false) were given to justify the invasion of Iraq. 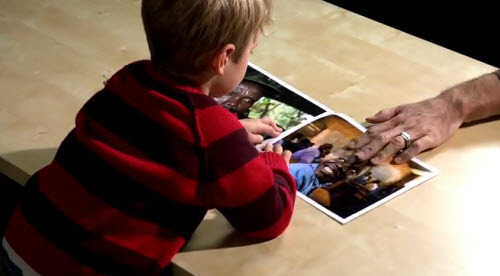 A different technique is being used with Kony, one that originates from advertising. Once the viewers had their emotions stirred, got infantilized and had the problem spelled out to them as if they were in kindergarten, the table is set for the true goal of the video: Defining the agenda. 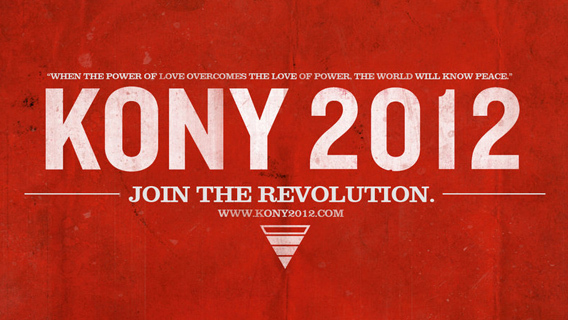 KONY 2012 is a movement backed by some of the world’s most powerful entities and has precise goals. As the movie’s intro states, it is an experiment. It is an opportunity to create a movement that can be fully trackable, quantifiable and manageable through social media whose culmination is a U.S. military intervention in Uganda. The carrying out of this mission will not only be perceived as a victory, it will restore young people’s faith in democracy. What the members of this movement might not realize is that they are helping the advancement of the elite’s agenda towards a New World Order. This poster aptly summarizes how the Illuminati works. Political parties are irrelevant as both work towards the same Agenda. The second part of the movie let’s go of emotions and describes to the viewers what the elite expects from them. U.S. troops are already in Uganda, but, according to the movie, Kony “changed his tactics”… Damnit Kony, you and your sneaky tactics. Apparently, high tech satellites, unmanned drones and all kinds of radars are not enough to catch this guy. Nope, in order to catch him, a complicated plan, involving the purchase of an “Action Kit” and the registering an ID bracelet on a website is required. Makes sense. Those who want to “Stop Kony” are required to wear a bracelet bearing a unique code which needs to be registered at a website. Of course, personal information is requested. 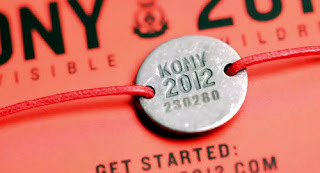 Once the bracelet is registered, members can associate it with their Facebook account, which will keep track of all KONY-related actions. The end result is: every single member of KONY 2012 will be known, identified and easily tracked – with constantly updated information. All of this data will of course be collected, scrutinized and stored by those in charge. 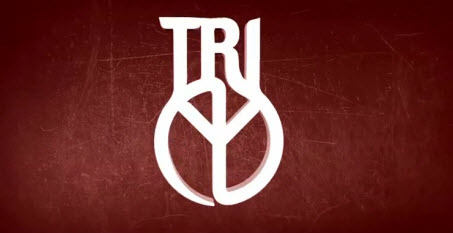 TRI’s logo is an inverted “Peace” sign. In symbolism, an inverted sign means that it stands for the opposite of the regular sign. In other words, TRI is about war. Peace does not involve “equipping” and “training” government forces to fight rebel factions. As the novel 1984 states, WAR IS PEACE, FREEDOM IS SLAVERY, and IGNORANCE IS STRENGTH. To support the cause and to make it popular, a bunch of elite-sponsored artists and politicians have been enlisted, including Lady Gaga, Jay-Z, Rihanna, Oprah, George Clooney, Bono, etc. While some of them might be genuinely concerned about problems in Africa, most of them are pawns of the elite that are used to promote its agenda. Am I seeing warmongering George W. Bush in here? The dude that lied to the whole country in order to attack Iraq for its oil and stuff? Hmm. Weird. After going past the celebrities and the emotions, the end result of this campaign is simple and steeped in real politik: Since the fall of rival superpower USSR, Western forces have sought to bring down and to control regional powers around the world, mostly in third countries. Uganda is part of that plan. The same way the spectre of Bin Laden was used to invade Afghanistan, Kony is being used to enter Uganda.. 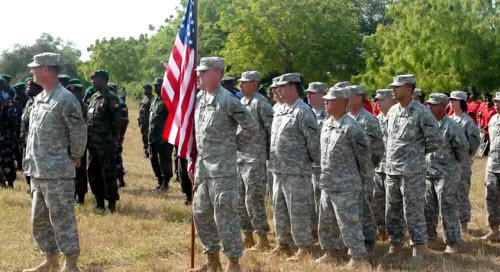 The video clearly shows what is the goal of this “movement”: U.S. troops taking charge of the Ugandan army, the same way it took charge of the Iraqi, Libyan and other armies in the past few years. KONY 2012 is a cleverly orchestrated campaign specifically aimed at today’s youth, the future citizens of the world. Using state-of-the-art techniques and new technologies, the campaign is a first attempt at “reverse propaganda”, where the agenda APPEARS to emanate from the people. By using emotions, irrational thoughts and superficial explanations, KONY 2012 attempts to trick well-meaning people, who desire to make a positive change in the world, to instead fuel a gigantic war machine that is controlled by the world’s elite. 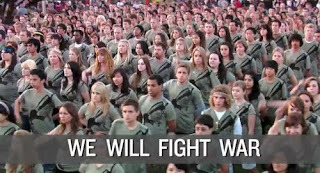 Is KONY 2012 trying to eradicate child-soldiers or is it attempting to create a new kind of child-soldiers? This makes sense to me. Another way to manipulate people.